Millions of people across the United States experience dental anxiety and dental fear. 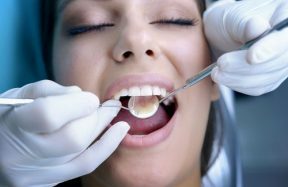 Fortunately, you can come to Sunrise Dental where our sedation dentistry can make it easier to receive the oral care that you need and deserve. Almost daily, our dental sedation options help our patients with everything from routine dental cleanings to dental implant placements. Nitrous oxide and oral sedation are both effective ways to address dental anxiety so you can receive the treatment that you need. We offer sedation dentistry in Durham, Raleigh, Cary, and Chapel Hill. To make an appointment or to learn more about dental sedation, just call the nearest office or contact us online. For now, however, answer a few questions to find out if sedation dentistry could help you. Loading Could Sedation Dentistry Help You?